Many lottery winners love nothing more than to bask in the glamour and glitz of the lottery winner spotlight, though not all. Winning large amounts of money can have unforeseen circumstances which is why the topic of anonymity is such an important one. In China an interesting and amusing trend has emerged whereby lottery winners, unwilling to reveal their identities, have started dressing up in ever-more elaborate and hilarious costumes. Previous Chinese lottery winners have therefore included a golden cartoon bear, a panda, a pair of Transformers, Mickey Mouse and even Baymax from Big Hero 6. Congratulations Baymax - you can finally afford a lifetime's supply of sellotape to fix those pesky punctures! On this side of the world meanwhile, what we've found is that, although having a reputation for being less modest, when it comes to winning the lottery the vast majority of continentals tend to opt for anonymity. British and Irish winners, on the other hand, tend to go public more often – though most still opt for anonymity. Can I Collect My Winnings Anonymously At Lottoland? Yes, of course. By default all Lottoland members, without exception, operate under full privacy protection. And, no matter where you are based or which lottery you win, your privacy and anonymity is always 100% guaranteed. While the big data kingpins of Silicon Valley tout the notion that privacy is for people with "something to hide" at Lottoland we believe that privacy is not cause for suspicion. Far from it – we believe that privacy is, and always should be, a basic human right. So Do I Have To Remain Anonymous? No. 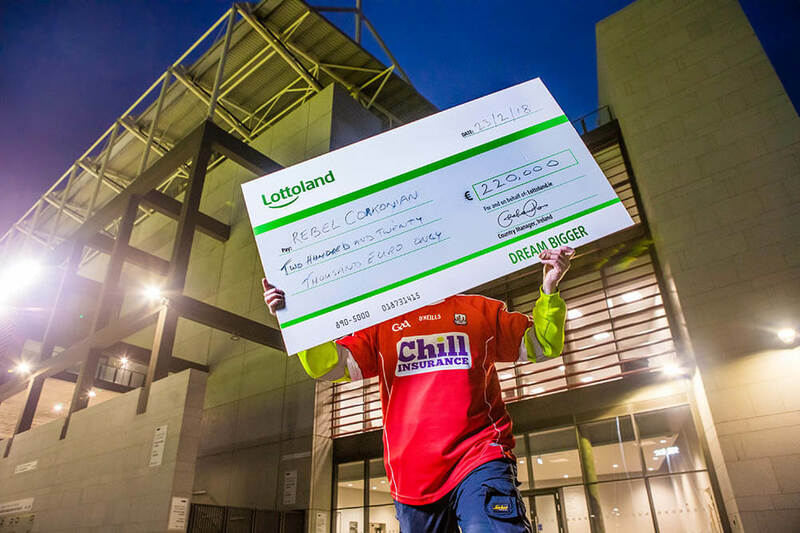 Lottoland winners can still go public if they so wish. Your win is simply kept private by default because at Lottoland we believe that's how it ought to be. Going public is therefore done on an "opt-in" basis whereby you will be asked if you would like us to publish a winner story. And how much you decide to share with the public is still entirely up to you. We had a big winner from the UK in 2017 (for example) and although Mr Robson was happy to use his surname when he scooped his big win with Lottoland, but chose to obscure his face. As a Lottoland winner you can choose to stay 100% anonymous if you want, but the choice is always yours. How Does Lottoland Guarantee My Privacy & Anonymity? 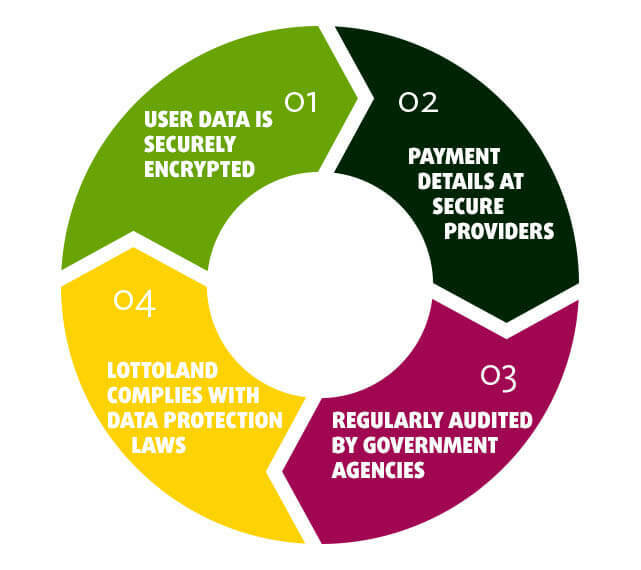 Lottoland offers multiple layers of privacy protection to everybody. Firstly all personal details that we collect are those only required by law and your user data and transactions are all securely encrypted using the same technology used by leading financial institutions. As regards your payment details these are not retained by us, but rather by our payment provider Adyen, who is regularly audited by both MasterCard and Visa. Our gaming licence is dependent on our ability to provide robust privacy protection. We are therefore regularly audited by the UK Gambling Commission (plus the Gibraltar Gambling Commission for other markets) as well as by KPMG. We are also regularly examined to ensure we are fully compliant with European Data Protection laws. We're human, and as such, each of us has a side we show the world and other parts we only show to those most close to us. And your right to choose will always be respected here at Lottoland, as it was for our winners shown in the image above. Many of our competitors in the lottery field don't share this view, unfortunately, and tend to squeeze winners for all the publicity they can get. They do so knowing full well that a large-scale lottery win can have a discombobulating effect that short-circuits one's reason centres. Hence so many people wake up as millionaires, but also to the realisation that their faces are now plastered across every single newspaper in the country. And that's when the door starts knocking and the phones start ringing. Since your win is public knowledge the tabloids may well decide that your personal life should be likewise and may decide to publish every single aspect of it in embarrassing detail – just ask Adrian and Gillian Bayford. The couple's massive EuroMillions win was only the beginning of the story. Their subsequent divorce and their every move, transaction, not to mention every sordid detail of their new relationships, were all considered fair game for publication. Large wins will put you in the spotlight and people will then continue to put you on the spot. When it comes to money people aren't shy about asking – and not everyone has the good graces to ask politely. It's fair to say some people are more thick skinned than others and are able to deal with it better than others. Which is why it still astonishes us that some lottery operators, such as many US state and Canadian provincial lotteries, still refuse to offer winner anonymity. Take the recent case of the Canadian who's fighting the British Columbia Lottery Corporation for his/her right to remain anonymous – a fight which we support. Not everybody wants to be an instant celebrity and your right to choose should always be respected. Winning the lottery is about improving the quality of your life, not turning you into a contractually-obliged billboard. 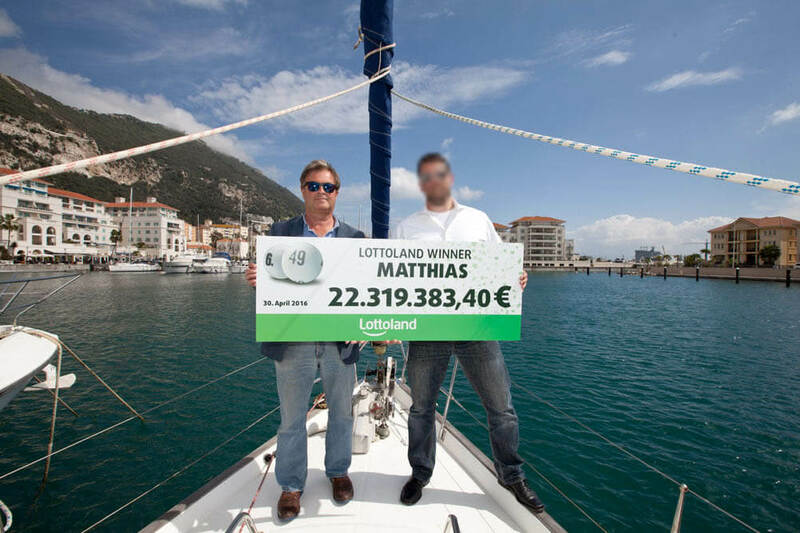 Our biggest winner to date is Matthias from Germany - pictured below accepting his cheque for €22 million - and we respected his wish to remain anonymous apart from his first name. Why Go Public if I Win the Lottery Jackpot? With so many strong reasons to stay anonymous you may well be asking why one would ever go public in the first place. Well there are strong arguments to be made for that too. In many cases people just want their 15 minutes of fame, or they just want to celebrate and/or gloat publically – something we can all understand to some degree. I mean we've all had people who've wronged us in life, or made us feel small or undeserving. Being able to rub their noses in a multi-million lottery win would certainly feel satisfying – at least for a short while. There are other more practical reasons why you might choose to public however. Many lottery winners, when questioned on the matter, replied that it makes things easier in the long run because no matter how hard one tries to keep something a secret, the secret will always get out in the end. Better to just come out with it, than to try hide their millions - in particular from their loved ones. Colin and Christine Weir, who won Britain's second-largest EuroMillions jackpot (and biggest overall by Sterling value), expressed these sentiments perfectly, "We would have had to have constructed lies for our nearest and dearest. We don’t want to live like that.” And, of course, once you tell one person such monumental news you might as well tell the world. Therefore many winners who opted to go public done so because they felt that it would all come out in the end anyway and, rather than trying to live a secret life and foster resentment in the long-run, it was best to just come clean. At Lottoland your identity and privacy is wholly protected at all times. The decision to go public is entirely yours to make, and, if you opt to do so, we can then help you determine to which degree you wish to do so and advise accordingly. Plus there's no pressure – you've got all the time in the world to decide. But hey – let's cross that bridge when we get to it! In the meantime it's time to concentrate on winning!